“Shasta— you were the most helpful expert ever! So much wisdom!" For media inquiries please contact us and see our press kit. According to Ms. Nelson, only three things are necessary for a relationship to flourish: positivity (it has to feel good); consistency (you have to be in touch on a regular basis); and vulnerability (you have to feel safe with each other). None of them has to do with age. So how do you go about building those relationships? Nelson and friendship expert Miriam Kirmayer share their top tips with TODAY. 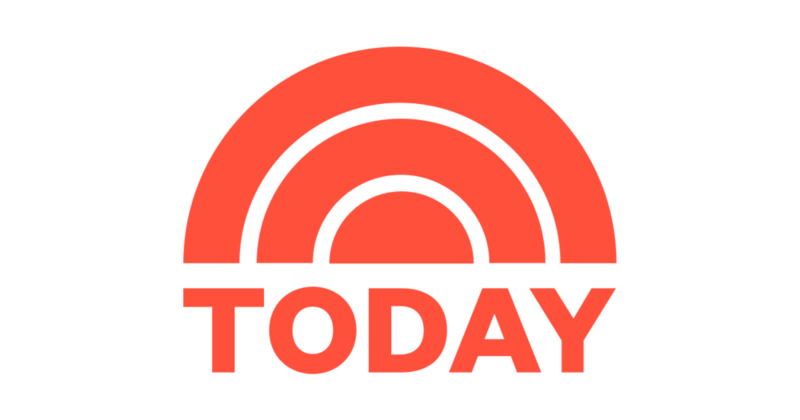 Shasta was so honored to be interviewed by Kathie Lee & Hoda on the TODAY show about beginning and ending friendships. Facebook asked Shasta Nelson to be their friendship spokesperson for Friends Day 2018, resulting in nearly 20 TV interviews and advice shared via press release. NBA players need friendships, too! Here, Shasta weighed in on why, and how, athletes must build supportive relationships on their teams. The Washington Post wrote up a helpful piece on How to craft a successful friend-date that gave some great tips, shared by Shasta Nelson, as we friend date for more meaningful connections. Shasta Nelson was the featured expert for tips for traveling with friends! We're all probably a little guilty of getting caught up in how easy it is to keep in touch with our friends without actually keeping in touch with them…. here’s a checklist of what we can aim for when we want to stay close to our friends! We may not always be able to go on amazing get-aways with friends but here are some fun ways to connect over a meal! See the whole inspiring spread on gathering with our friends. Lauren Pelley wrote a Q/A with Shasta Nelson on her book “Frientimacy” to help readers learn how to develop the bonds we crave. Because all best friends are different, Shasta breaks down the eight amazing roles our friends play in our lives in this featured article from The Stir: The 8 Friends You Need in Your Life. Spirituality & Health's Eve Hogan interviews Shasta about her second book, "Frientimacy". Add this podcast to your playlist! This article features four easy tips from Shasta for strengthening the bonds with your closest gal pals: Four Ways to Make Sure Your Friends Don't Hate You. This article features some of Shasta's advice on how to transition our friendships through changing life stages and circumstances: Friends Forever Takes Work. Metro featured GirlFriendCircles in this two-part article! Part one features advice on making friends as adults: How to Make Friends as an Adult. Part two features advice on navigating common friendship problems: How to Navigate Tricky Friendship Problems in Your 20's and 30's. Both articles feature friendship advice from Shasta! Shasta shares how to overcome obstacles that get in the way of developing meaningful friendships. Watch her interview here! Shasta explains why we shouldn't keep score in our friendships. Visit here to read "Why You Should Stop Thinking You're the Better Friend"! Real Simple magazine ran a feature story titled, "Making Friends as a Grown-Up" (page 42 of their September 2015 issue). Shasta's full-page contribution to the story reminds us that it's awkward for everyone! Reporter Jamie Roth interviews Shasta Nelson & three NYC women who became friends after meeting through GirlFriendCircles.com. How to Make Friends: One of Shasta's favorite interviews ever was with Heather Childers in FOX Headquarters where she explains how GirlFriendCircles.com works, why friendships are important, and why they often feel difficult to make. Watch this 3 minute clip. Based in Toronto, Canada, The Globe and Mail featured stories of women who are using online sites to make friends. We are thrilled that not only was Shasta interviewed, but that this story also features an interview with one of our GFC members who shared her success in making friends on GirlFriendCircles.com.Not only did this story make the cover, but they gave a good 6-7 pages to all things friendship! Featuring interviews with several experts, our CEO Shasta Nelson gave lots of input to this story and was quoted several times to help highlight why it's important to push ourselves to intentionally build friendships. Some of our best national magazine press came from an article in Weight Watchers magazine since the writer highlighted online friendships sites, explaining how to write a profile on sites like ours, and featuring an interview with a member of GirlFriendCircles.com as she highlighted the value of new friends in her own weight journey. AN HOUR-LONG INTERVIEW ABOUT FEMALE FRIENDSHIPS ON NPR! Shasta was one of three guests on "Forum with Michael Krasny" as they discussed female friendships as highlighted in the "Nothing But the Truth" anthology about women's connections. Listen here. In an interview with New Day Northwest host Margaret Larson, Shasta has a good 7-minutes to not just talk about the importance of friendship, but to also highlight her 5 Circles of Connectedness, the differences between our 5 types of friendships. We're thrilled that online magazines like Fast Company are featuring the subject of friendships and talking about GirlFriendCircles.com in their article How To Make New Friends as an Adult. This segment touting GirlFriendCircles.com as the web site trying to help women avoid social isolation is showing in 250 news affiliate stations across the country. It highlights recent health studies linked to our relationships and actual interviews with women who met through GFC and became friends in the Bay Area. The April 2011 issue of Parents Magazine featured a fabulous 4-page story titled"A Mom's Guide to Making Friends" where Shasta, CEO of GirlFriendCircles, contributed tons of tips and help! The May 2011 issue of Essence Magazine was dedicated to all things Girlfriend related, so we were honored to be mentioned as a resource for women looking to meet new friends! Our president, Shasta Nelson, was quoted on the importance of finding new friends. A thoughtful, honest and & helpful article titled "Friends, Interrupted" by Sally Koslow who provides insight for fostering new friendships since we replace 1/2 our friendships every 7 years. And GirlFriendCircles.com is suggested for those looking for a "directed" experience since we help match women! GirlFriendCircles got a great mention in this fabulous article about the disconnect between how much we want/need friends and yet don't always make the time for them. Shasta was called by the Chicago Tribune while grocery shopping so they could be sure to include some tips at the end of the article for how to foster friendships when we're short on time. When Ireland's #1 Women's Glossy Magazine called we were thrilled to help give advice to a country of women who have seen a lot of people moving for jobs recently! They put together a beautiful spread to inspire their readers to follow 5 steps to friendship. One of the many quotes by Shasta: “If there’s one magic pill for friendships, it’s consistent time together." Talking primarily about my book, the hosts (Audra Lowe and JD Roberto) of NYC-based Better TV spent two segments talking all things friendship with me! Called upon by HuffPost LIVE to be an expert commentator several times, Shasta participates on virtual panels on subjects ranging from toxic friends to relationship reconciliation. The Book: "MWF Seeking BFF"
We love that when author Rachel Bertsche decided to commit to weekly friend-dates for an entire year for her smart and funny memoir "MWF Seeking BFF: My Yearlong Search for a New Best Friend" that she called Shasta Nelson for guidance and used GirlFriendCircles as part of her friendship strategy. We're honored to be highlighted in this must-read book for all women who value new friends! I called in on Skype to talk with Carol Daniel on Great Day Saint Louis with 5 Time-Saving Tips for our Friendships. It's so hard to walk up to other fun women and say "Let's be friends!" How do you meet new women and what do you do to foster those friendships? Shasta Nelson was interviewed on national Daytime TV to help inspire and inform! Shasta Nelson, CEO of GirlFriendCircles, was selected in March 2011 as a female friendship columnist for the Huffington Post (2nd only to New York Times in size!) where she posts regularly. In the July 2010 issue, on their "Easier, Better, Faster" page, Redbook Magazine shares with their readers "Making Friends Just Got Easier" and says "Whether you just moved to a new city or want to expand your social circle, check out GirlFriendCircles.com." Shasta was interviewed by AARP, the leading organization for those over the age of 50 on making new friends. One of our fastest growing segments is the women over 50 years old as we remember that friend-making is a lifelong skill we need! Once our kids are grown and we start facing retirement, we are more committed than ever to the value of a group of friends! Often we move to be near aging parents or grand kids, or because we want to settle ourselves in a more aging-friendly community or climate, and we find that we are having to make new friends all over again. Thrilled to be a listed resource (with a great description!) under: How to Make New Friends. We all want our own circle of friends, but it can feel like a difficult task when we don't have time, don't know how or don't know who! In my 2nd interview with the abc show View from the Bay, I give some tips for developing closer friendships. "Genius" said Glamour Magazine about us in a blog titled "Do You Wish You Had More Female Friends? Here's How to Get Them..."
One of Shasta's blogs was chosen as a guest post on PsychologyToday.com:"There's a Reason It's Lonely at the Top" about how loneliness is just as rampant for women who are social, beautiful & powerful. We all need friends! Rachel Bertsche of MWFseekingBFF.com wrote a fabulous piece forLemonDrop.com about her own process of making friends when she moved to Chicago. We're honored to be mentioned as a resource and we welcomed many new GirlFriends to our site when this story was picked up by AOL. The best title ever: "How to Make Friends as an Adult!" This article on AOL Health suggests using online sites such as GirlFriendCircles.com to make offline friends in your local area! Shasta Nelson, featured as a chosen CEO Interview on Social Networking Watch highlights how GirlFriendCircles provides a solution to the problem that even though social networking is on the rise, the number of real friends we have is falling. ABC News 10: Sacramento & Co. The San Francisco Chronicle, featured us on the front page of their Style section when we hosted a Speed Friending event to highlight the power of our ConnectingCircles that focus on small groups and meaningful conversations! Shasta Nelson, highlighting the Five Categories of Friendship and how to foster more connectedness in an interview on ABC's The View from the Bay. How do you Spring Clean your Friendships? How to know when to walk away and when to push through the friendship shifts? Shasta Nelson gave an interview toYahoo! Shine to help give some guidance!